Since his appearance in 'Captain America: Civil War', Spider-Man has become one of the pillars of the Marvel Cinematic Universe, with his own solo film, 'Spider-Man: Homecoming', whose sequel is on the way, as well as the latest adventure in 'Avengers: Infinity War'. However, the rights to this superhero remain in the hands of Sony, and everything seems to suggest that there is where it will stay, thanks to the box office success of 'Venom'. In 2014 'The Amazing Spider-Man 2: Rise of Electro' was released, and it was the last attempt from Sony to bring the Spider-Man universe to the big screen until the release of 'Venom' this year. The former film, staring Andrew Garfield in the role of Peter Parker and Emma Stone as Gwen Stacy, was, despite not doing badly in box office sales, a commercial failure due to the excessive costs of production and advertising. This lead Sony to allowing the MCM to have access to the character, while maintaining rights over him. Now, after the release of Venom, with Tom Hardy, Marvel may have a far more complicated time holding onto Spider-Man in their Cinematic Universe. Comicbook echoed the words of some box office analyst experts who spoke with regards to 'Venom'. For example, Jeff Block, stated that, "If it had failed, there is a chance Sony would have definitely returned to the bargaining table with Disney. Now, that's up in the air." Block went further, suggesting that if Sony's films continue to attract public support then Disney will have to buy Sony out in order to keep Spider-Man in the Avengers team. We must wait to see whether Sony chooses to introduce Spider-Man in one of the spin-offs it is preparing. And, if this does happen, which actor will end up wearing the red tights. Sony's own Spider-Man animation film with Miles Morales in the role of the superhero, 'Spider-Man: Into the Spider-Verse', which will premiere on December 21st this year, could open a world of possibilities for Sony. 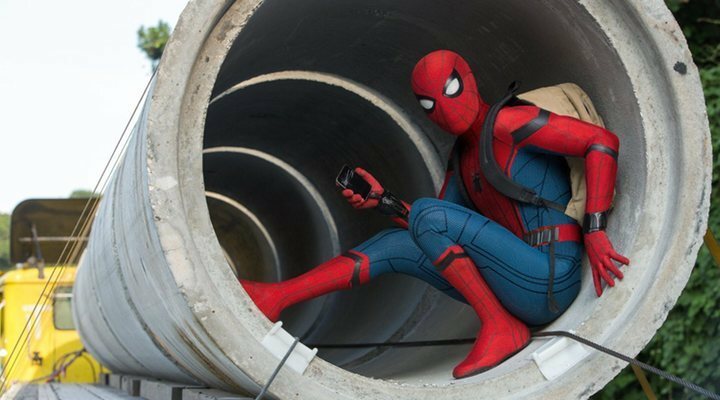 Could we see Tom Holland in a Sony 'Spider-Man' film without Disney being involved? 'Venom' has made more than $500 million worldwide so it is nothing strange to see that with these figures Sony is already developing a sequel, introducing the character, Carnage. The studios are also developing various other Spider-Man Universe projects such as 'Kraven the Hunter' and 'Morbius', which will have Jared Leto in the leading role.